The Journal of Physical Chemistry C, 121(51), 28395-28402 (2017). 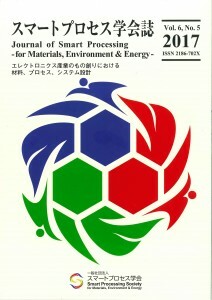 DOI: 10.1021/acs.jpcc.7b10628 (Published (web) 28 November 2017). Abstract: We herein report the first real-space investigation of Förster resonance energy transfer (FRET) in two different types of quantum dot (QD) supramolecular assemblies by observing their three-dimensional (3D) configurations through high-resolution electron tomography. Owing to its critical role in photosynthesis, artificial light-harvesting antennas, and investigation of protein-protein interactions, the mechanism of FRET has been intensively studied by monitoring its excited state dynamics via various spectroscopic techniques. The utilized electron tomography technique allowed the direct localization of 3D coordinates of individual QDs in self-assembled nanostructures and theoretical estimation of the FRET efficiency of a single fluorophore, domain, or supramolecular assembly. 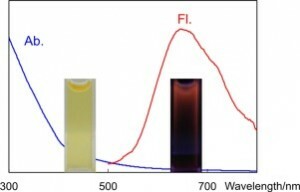 Moreover, the experimental value of the FRET efficiency determined by fluorescence spectroscopy was in good agreement with the magnitude obtained via electron tomography. We believe that the described strategy can be used in single-molecule FRET studies and will help to create a new bridge between material science and molecular/supramolecular photochemistry. Bulletin of the Chemical Society of Japan, 91(3), 362-367 (2018). Abstract: Microwave induced plasma in liquid has become a green and effective method for preparation of metallic nanoparticles (NP). In our research, we have introduced yttrium oxide (Y2O3) coated stainless steel electrode to challenge impurity problems of resulting NPs due to the loss of electrode materials. We proposed using [Ag(NH3)2]+ complex as the alternative precursor and L-arginine as the stabilizing agent to synthesize highly uniform Ag NPs with an average diameter of around 5 nm. [Ag(NH3)2]+ complex was chosen as it can allow the reaction proceed at high pH for higher reaction yield compared with using AgNO3 whereas L-arginine can stabilize Ag NPs to attain highly uniform and small sizes. The influence of the selection of initial precursor on the reduction of metal precursor during the plasma irradiation, the particle size and size distribution of Ag NPs, and influence of the amount of L-arginine, were investigated. Accounts of Chemical Research, 50(12), 2986-2995 (2017). DOI: 10.1021/acs.accounts.7b00470 (Published (web) 30 November 2017). Conspectus: Noble metal nanoclusters are believed to be the transition between single metal atoms, which show distinct optical properties, and metal nanoparticles, which show characteristic plasmon absorbance. The interesting properties of these materials emerge when the particle size is well below 2 nm, such as photoluminescence, which has potential application particularly in biomedical fields. These photoluminescent ultrasmall nanoclusters are typically produced by chemical reduction, which limits their practical application because of the inherent toxicity of the reagents used in this method. Thus, alternative strategies are sought, particularly in terms of physical approaches, which are known as “greener alternatives,” to produce high-purity materials at high yields. Thus, a new approach using the sputtering technique was developed. This method was initially used to produce thin films using solid substrates; now it can be applied even with liquid substrates such as ionic liquids or polyethylene glycol as long as these liquids have a low vapor pressure. This revolutionary development has opened up new areas of research, particularly for the synthesis of colloidal nanoparticles with dimensions below 10 nm. We are among the first to apply the sputtering technique to the physical synthesis of photoluminescent noble metal nanoclusters. Although typical sputtering systems have relied on the effect of surface composition and viscosity of the liquid matrix on controlling particle diameters, which only resulted in diameters ca. 3–10 nm, that were all plasmonic, our new approach introduced thiol molecules as stabilizers inspired from chemical methods. In the chemical syntheses of metal nanoparticles, controlling the concentration ratio between metal ions and stabilizing reagents is a possible means of systematic size control. 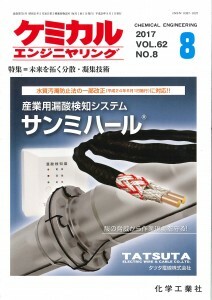 However, it was not clear whether this would be applicable in a sputtering system. Our latest results showed that we were able to generically produce a variety of photoluminescent monometallic nanoclusters of Au, Ag, and Cu, all of which showed stable emission in both solution and solid form via our matrix sputtering method with the induction of cationic-, neutral-, and anionic-charged thiol ligands. We also succeeded in synthesizing photoluminescent bimetallic Au–Ag nanoclusters that showed tunable emission within the UV–NIR region by controlling the composition of the atomic ratio by a double-target sputtering technique. Most importantly, we have revealed the formation mechanism of these unique photoluminescent nanoclusters by sputtering, which had relatively larger diameters (ca. 1–3 nm) as determined using TEM and stronger emission quantum yield (max. 16.1%) as compared to typical photoluminescent nanoclusters prepared by chemical means. We believe the high tunability of sputtering systems presented here has significant advantages for creating novel photoluminescent nanoclusters as a complementary strategy to common chemical methods. This Account highlights our journey toward understanding the photophysical properties and formation mechanism of photoluminescent noble metal nanoclusters via the sputtering method, a novel strategy that will contribute widely to the body of scientific knowledge of metal nanoparticles and nanoclusters. DOI: 10.1021/acs.langmuir.7b03194 (Published (web) 3 October 2017). 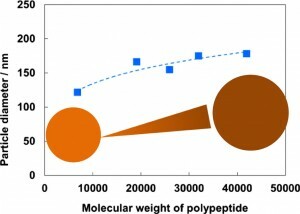 Abstract: Alloy nanoparticles of a bimetal system, Au/Cu, that form intermetallic compounds in a bulk state have been successfully produced using a double-target sputtering technique onto a low-cost and biocompatible liquid polymer (polyethylene glycol, PEG). Formation of a Au/Cu solid solution alloy in individual nanoparticles was revealed by scanning transmission electron microscopy-energy dispersive x-ray analysis (STEM-EDX) elemental mapping. Altering the sputter currents for Au and Cu targets resulted in a tailored nanoparticle composition, but the particle sizes did not significantly vary. We found similar structure, size, and optical properties of Au/Cu nanoparticles obtained by double-head sputtering on carbon-coated TEM grids or PEG and by Au/Cu alloy target sputtering. Random alloy formation occurred in matrix sputtering using double-target heads. This method is advantageous for manipulating the alloy composition thorough highly independent control of sputter parameters for each metal target. DOI: 10.1002/slct.201701462 (Published (web) 12 September 2017). 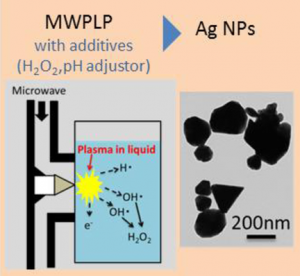 Abstract: The effect of additives, i. e., H2O2 and pH adjustors, on the preparation of Ag nanoparticles (NPs) fabricated using the microwave-induced plasma in liquid process (MWPLP) has been investigated. When both aqueous ammonia and NaOH were used as pH adjustors, the rate of the reduction of silver ions decreased with lower concentrations of H2O2 or at higher pH values. Under these conditions, the aggregation of generated nuclei during the early stages of the reduction was suppressed, and the sizes of the obtained Ag NPs decreased. The amount of H2O2 and the pH of the reduction solutions are therefore highly important parameters for the preparation of well-dispersed Ag NPs using the MWPLP. ACS Omega, 2(8), 5104-5110 (2017). DOI: 10.1021/acsomega.7b00986 (Published (web) 29 August 2017). 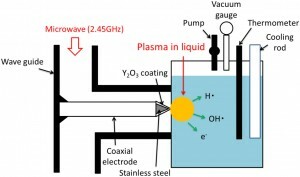 Abstract: Production of oxygen-deficient tungsten oxide nanoparticles with a diameter of around 10 nm have been successfully developed using a microwave-induced plasma in liquid technique. 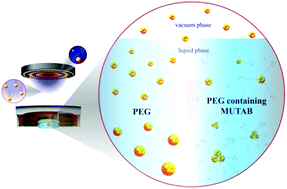 The prepared blue-green nanoparticles exhibit strong absorption in the visible region; thus, these could be efficient visible-light photocatalysts. The high-angle annular dark-field images revealed the dislocation of tungsten, which causes oxygen deficiencies. Abstract: Herein we report a novel positively charged photoluminescent Au-Ag bimetallic nanocluster synthesized using 11-mercaptoundecyl-N,N,N-trimethylammonium bromide as capping ligand by means of “green” double target sputtering method in a biocompatible polymer matrix. The photoluminescent Au-Ag bimetallic cluster showed emission tunability from the blue to near infrared (NIR) regions with respect to change in bimetallic composition. Optics Express, 25(16), 19497-19507 (2017). Abstract: Photoacoustic signal enhancements were observed with a pair of time-delayed femtosecond pulses upon excitation of gold nanosphere colloidal suspension. A systematic experimental investigation of photoacoustic intensity within the delay time, Δt = 0 to 15 ns, was carried out. The results revealed a significant enhancement factor of ∼2 when the pre-pulse energy is 20–30% of the total energy. Pre-pulse and main pulse energy ratios, Ep(1):Es(2), were varied to determine the optimal ratio that yields to maximum photoacoustic signal enhancement. This enhancement was ascribed to the initial stage of thermalization and bubble generation in the nanosecond time scale. Pre-pulse scattering intensity measurements and numerical finite-difference time-domain calculations were performed to reveal dynamics and light field enchancement, respectively. Crystal Growth and Design, 17(9), 4554-4562 (2017). Abstract: For the first time, investigation on the effect of lowering the synthesis temperature below room temperature (10 to −10 °C) and increasing the viscosity of the reaction solution at certain temperatures has been used to trigger the formation of single-crystalline β-Sn nanorods (NRs) in a chemical synthesis using an organic solvent. These two parameters govern the energy of the particles in the solution, thereby mediating the selective attachment to the nuclei and the preferential growth of Sn along the c-axis. The length and aspect ratio of the NRs were inversely proportional to the synthesis temperature and directly proportional to the viscosity of the reaction solution. In addition, we found that poly(vinylpyrrolidone) with a high molecular weight aided the formation of longer and higher aspect ratio NRs via the bridge flocculation effect. New Journal of Chemistry, 41(14), 6828-6833 (2017). Abstract: This study demonstrates a novel synthesis of cationically charged photoluminescent noble metal nanoclusters of Au, Ag, and Cu; these are known plasmonic elements utilizing 11-mercaptoundecyl-N,N,N-trimethyl ammonium bromide as a stabilizing and capping ligand via sputtering deposition over a liquid polymer matrix. RSC Advances, 7(40), 25095-25110 (2017). DOI: 10.1039/C7RA01005B (Published (web) 10 May 2017). Abstract: In this study, a thermally triggered self-reducible copper ink is developed to print conductive patterns on flexible substrates. Inks containing only copper formate (CuF) and monoisopropanol amine (MIPA) generated large bubbles in the CuF decomposing process, and thus the surface morphologies of prepared thin films were largely disturbed. With the addition of octylamine (OA), the bubbling disturbance was relieved due to the lower surface tension and the film uniformity was greatly improved. A low resistivity of 2 × 10−7 Ω m (8.5% of bulk copper) can be reached by heating the ink at 140 °C for 5 minutes under a nitrogen environment. XRD results showed the synthesized copper films were comprised of pure metallic copper crystalline. The copper films were composed of closely packed spherical grains of 50 to 500 nm in diameter. After the addition of 1 wt% polyvinylpyrrolidone (PVP) in the ink, the synthesized copper thin films showed great adhesion on glass substrates, and sustained the same conductivity after repeated tape tests. The ink can also be printed on flexible substrates, such as polyethylene terephthalate (PET) or polyimide (PI) thin films, to create highly-conductive tracks with a strong mechanical stability. Finally, various conductive patterns were printed on flexible substrates to show the great potential of this ink for various printed electronic applications. Advanced Powder Technology, 28(8), 1966-1971 (2017). Abstract: Size tuning of metallic copper fine particles is highly important for their application to conductive pastes. Uniformly sized metallic copper fine particles could be successfully obtained by a chemical reduction of CuO micro powders using hydrazine in the presence of polypeptides as the stabilizing regent. Easy tuning of their particle sizes was successfully achieved via controlling the molecular weight of polypeptides. The obtained particles were covered by polypeptide capsules which were approximately 2 wt% of total mass. They are highly stable even under ambient conditions. Scientific Reports, 7, 45150 (pp. 1-9) (2017). Abstract: Mixtures of a copper complex and copper fine particles as copper-based metal-organic decomposition (MOD) dispersions have been demonstrated to be effective for low-temperature sintering of conductive copper film. However, the copper particle size effect on decomposition process of the dispersion during heating and the effect of organic residues on the resistivity have not been studied. In this study, the decomposition process of dispersions containing mixtures of a copper complex and copper particles with various sizes was studied. The effect of organic residues on the resistivity was also studied using thermogravimetric analysis. In addition, the choice of copper salts in the copper complex was also discussed. In this work, a low-resistivity sintered copper film (7 × 10−6 Ω·m) at a temperature as low as 100 °C was achieved without using any reductive gas. Abstract: Many thiolate-protected molecular Au clusters, of different cluster sizes and with varying neutral or anionic thiolate ligands, have been reported over the past two decades. Despite this abundance of information, to date there has been no report of atomically pure cationized molecular Au clusters that are protected with cationic thiolates. We herein present a novel, facile and high yield synthetic approach towards producing a new series of thiolate-protected molecular Au clusters: a fully cationized Au₂₅(SR+)₁₈ cluster with atomic precision. The simple “charge neutralization strategy” presented enables to treat the cationic thiols as neutral thiols, thus the well-established method for preparing Au₂₅ clusters with neutral thiolates can be adopted for cationic Au₂₅ clusters at a very high synthetic yield. We believe that this report will widen the spectrum of gold cluster chemistry and also help in the further development of cationized molecular clusters with various metals, core sizes, and ligand structures. Materials Chemistry and Physics, 193, 7-12 (2017). Abstract: The microwave-induced plasma in liquid process (MWPLP) has been attractive as a unique preparation method of metal nanoparticles. In this study, we investigated the effect of H2O2 on gold nanoparticles prepared using the MWPLP. Au nanoparticles were obtained without aggregation when the Au and H2O2 concentrations in the reaction solution were 0.3 mM and 0.03 mM, respectively. When the H2O2 concentration was lower or higher than the optimum range, aggregated particles were obtained. The results show that the addition of H2O2 had a great influence on the reduction rate and the dispersibility, and that Au nanoparticles prepared under optimum conditions were not aggregated and exhibited a high dispersibility. Colloids and Surfaces A: Physicochemical and Engineering Aspects, 518, 25-29 (2017). Abstract: We have developed a novel physical approach for size-controlled synthesis of metal nanoparticles via sputtering deposition over liquid matrix. Here we report a novel water-dispersible, negatively charged fluorescent silver nanoparticles through this method with a very short anionic thiolate ligand. Our previous result showed that multiple hydrogen bonds between carboxylic groups in surface ligands resulted in a very poor dispersilibity of formed nanoparticles, however neutralized sodium 3-mercaptopropionate used in this work could overcome this limitation. We successfully obtained NIR fluorescent, water-dispersible silver nanoparticles for the first time among physical-based approach. Results presented here therefore will widen the spectrum of novel and environmental-friendly strategy for functionalized metal nanoparticles or fluorescent clusters. Functional Materials Letters, 10, 1750019 (2016) (4 pages). Abstract: “Multi-layer” walled TiO2 nanotube array has been prepared by anodization with post-treatment of ethanol. Two post-treatment methods, which were ethanol and water treatment respectively, exerted a marked and different effect on the structure of nanotube. With ethanol immersion, the “multi-layer” walled nanotube can be obtained, while water treatment cannot produce the “multi-layer” walled structure. The main reason could be the uptake of carbon and fluoride during anodization process. Compared with “single-layer” walled TiO2 nanotube, “multi-layer” walled TiO2 nanotube demonstrated higher photocatalytic activity. Accounts of Materials and Surface Research, 2(5), 137-144 (2017). C & I Commun., 42(4), 36-38 (2017). 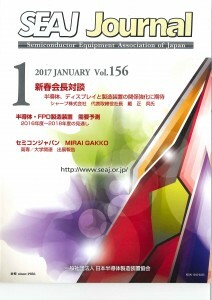 SEAJ Journal, 156(1), 47 (2017).